The Proform 1050 STS elliptical is a trainer that does many things right, especially the workout programs and the incredible ride. There’s so much to like about the machine that it’s too bad we have to knock it for its one glaring drawback; it’s overpriced. UPDATE: The 1050 STS elliptical trainer is no longer being sold. You can check out all of the newest model reviews here. Experts point out that the Proform 1050 STS benefits from an enhanced flywheel, club quality stable ergonomics, and traction control pedals. This is a heavy-duty home gym machine with sophisticated workout programs and a power incline ramp. Yet, at this price, the 1050 STS elliptical doesn’t measure up very well against the “Best Buy” machines in this range. Consumers writing their own Proform elliptical reviews on this model tend to focus on the great programming, the solid, comfortable stride, and rock steady feel. These machines even come with the Personal Trainer workouts that automatically adjust the resistance while you work whether you choose a weight loss, aerobic, or performance program. The ProForm 1050 STS even has the ability to track your progress in the iFIT® Fitness Journal which tracks and stores your workout information data for up to ten years. We were surprised at the $1799 price tag since ProForm tends to keep their line under $1000. We see no rational for this and we can’t recommend the 1050 STS elliptical over competitors, such as the “Best in Class” Sole E95 elliptical, which sells for $1699, but offers the value of a $3000 machine. 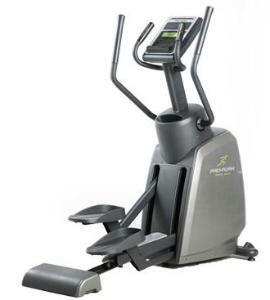 But if you really like the ProForm 1050 STS elliptical, then check out the NordicTrack ASR 1000. Both units are made by ICON Fitness and they are practically the same model with minor differences. You might be able to pick up the NordicTrack at half price since it’s a close out model available for a limited time.